Vickrant is an M.A. with diploma’s in animation and film making, multimedia, print media and advertising. He has fourteen years of experience in design, producing creative materials in multiple formats for mass media, advertising, information technology and entertainment industries. 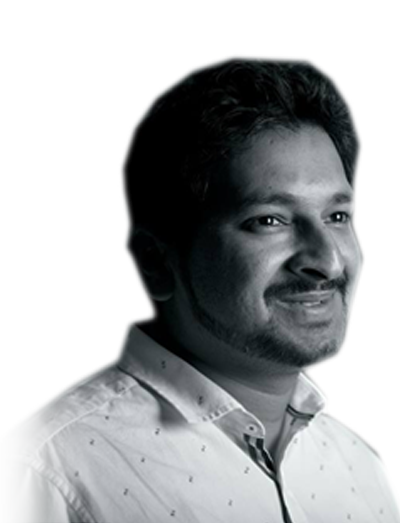 He is also the Creative Director at 24 Media Fusion Pvt Ltd. He has video documented the United Nation Environment Programme in 2009. In 2010, he was at Bali in Indonesia covering the Basel Convention for the Simultaneous Extraordinary Meetings to The Basel, Stockholm & Rotterdam Conventions. In 2011, he was assigned the task of documenting the Cairo Chapter in Egypt. That same year, he was also documenting International seminar & conference for Centro Studio Galileo & Terre.